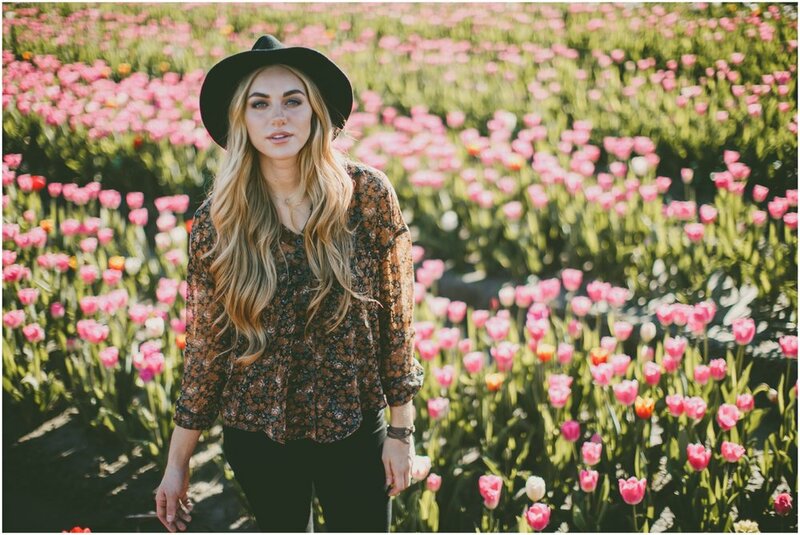 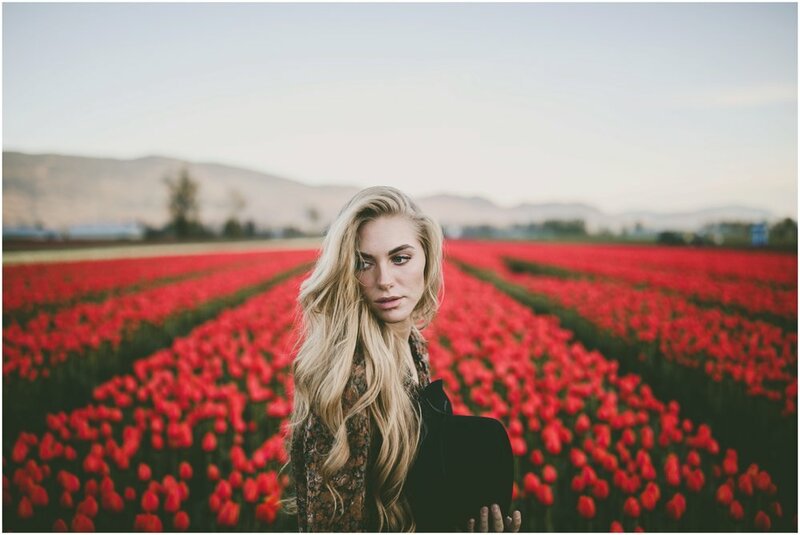 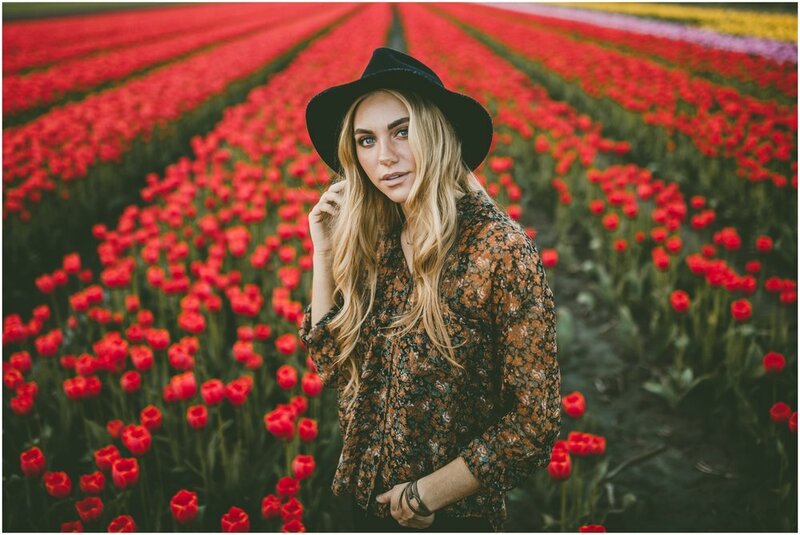 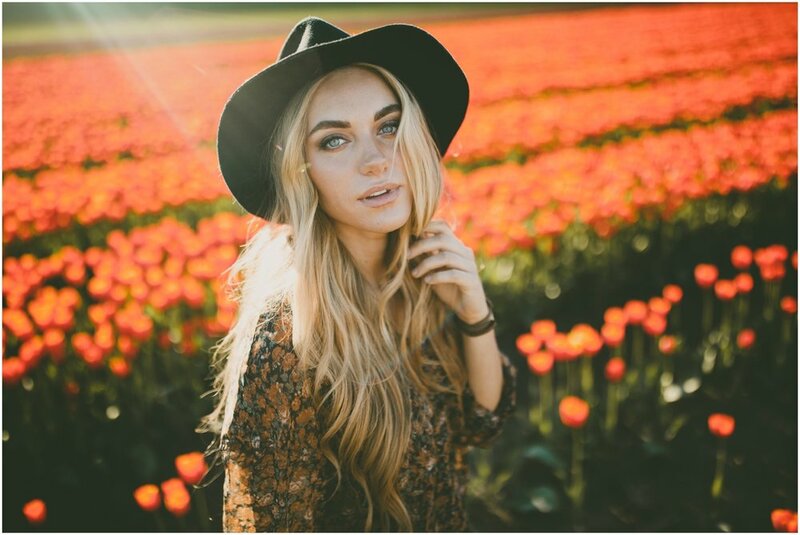 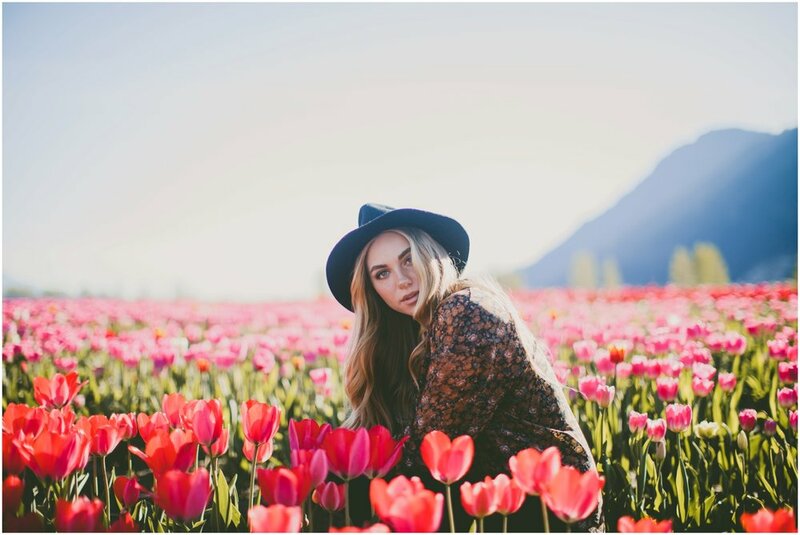 The beautiful Jessica Sipos amongst some vibrant blooms. 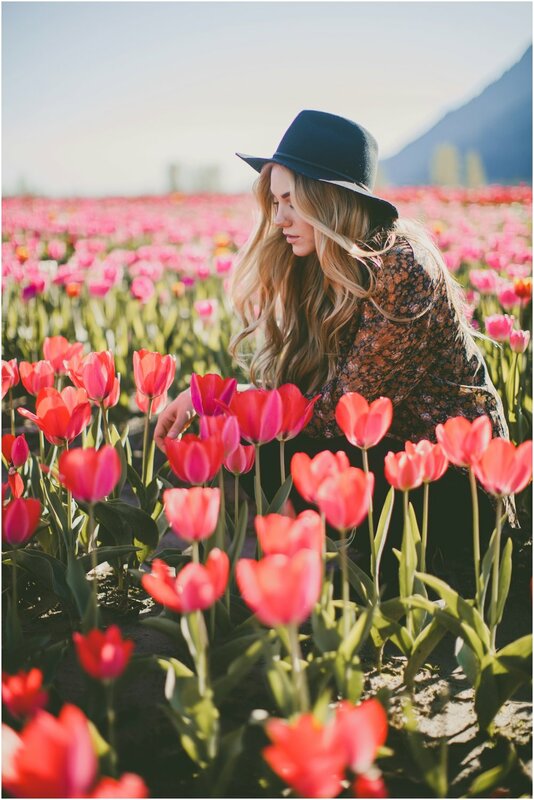 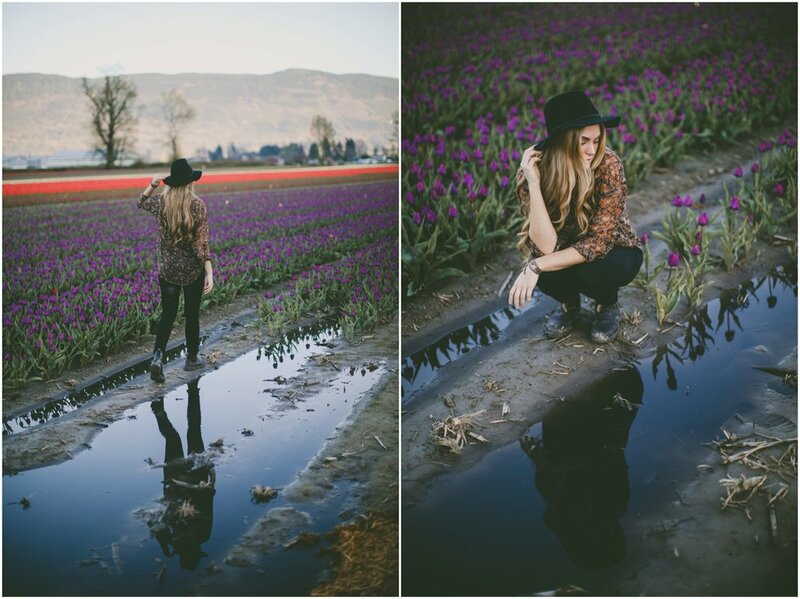 Last night, I grabbed my dear friend Jessica and drove out to Chilliwack to frolic amongst some incredible tulips. 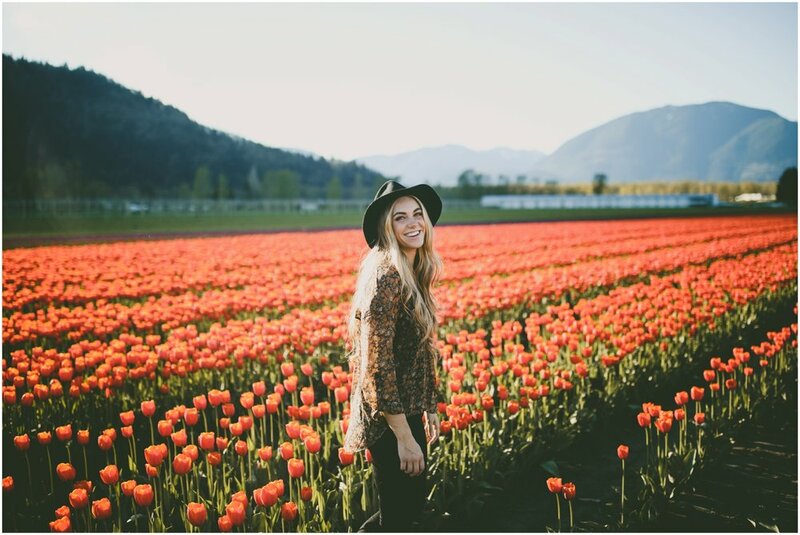 We had bought our tickets a week earlier, and the weather came through with some gorgeous sunny rays for our time at the fields. 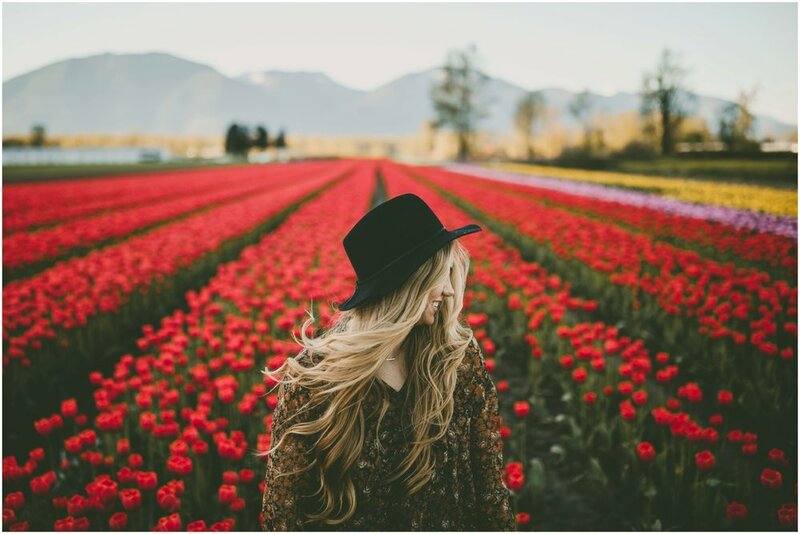 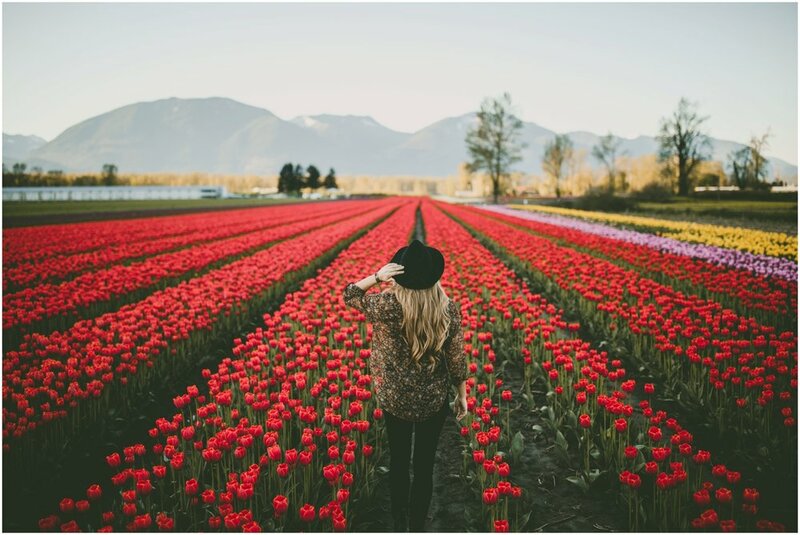 Tulips of the Valley might not be the most well-known tulip festival in the valley, but it is the largest festival currently in the lower mainland! 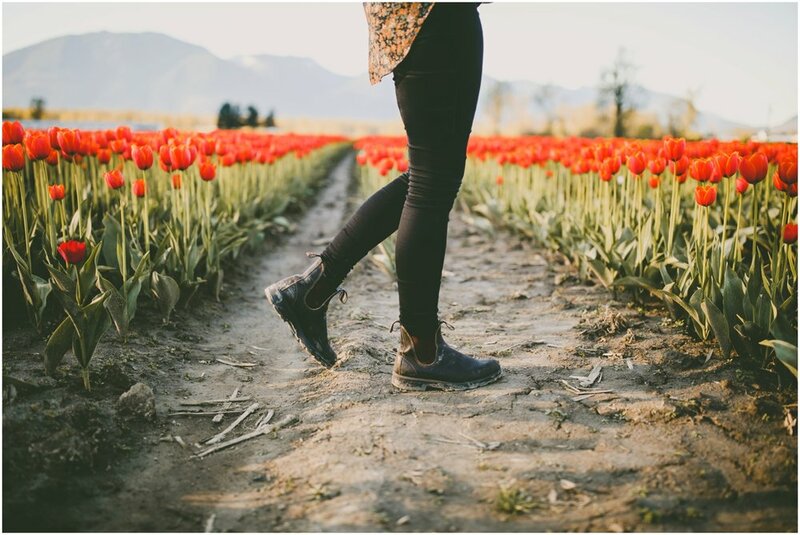 The fields were quiet and we had no trouble finding spots throughout the property to take in the beauty amongst the cheerful chirps of spring birds and the occasional eagle and hawk flying overhead. 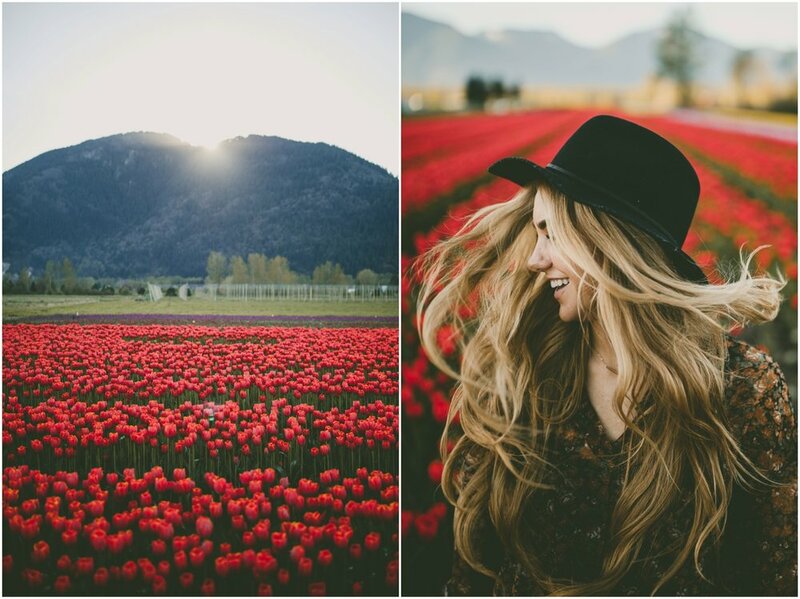 The evening was peaceful and breathtaking. 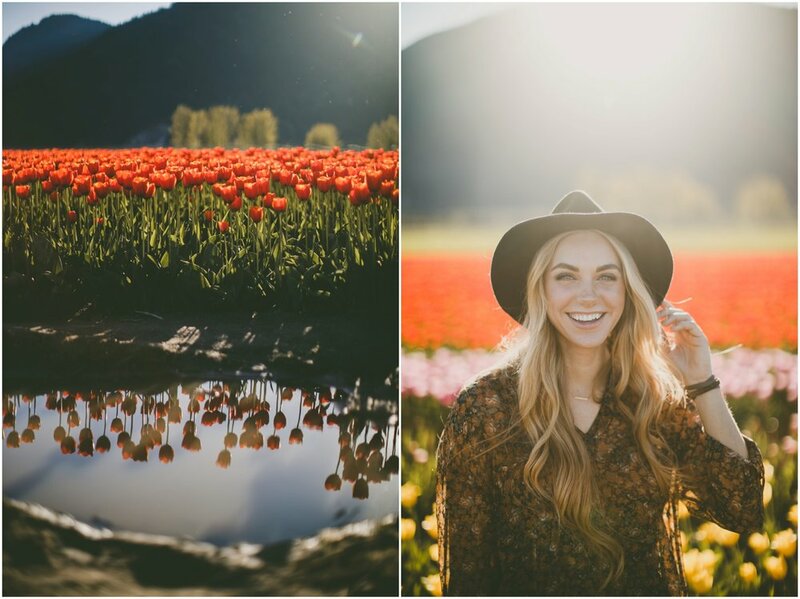 We watched the sun slowly fade behind the mountain, providing even dreamier lighting with vivid tones. 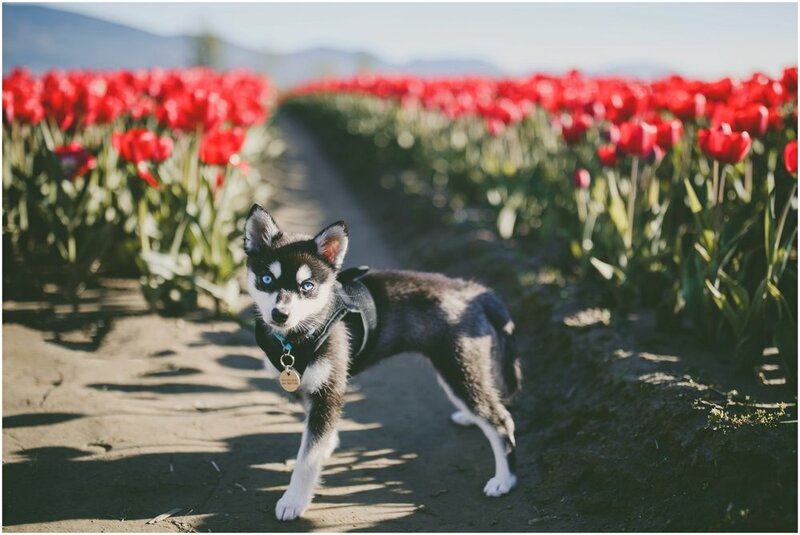 I love spring time in BC, between cherry blossoms, magnolias, and tulips, my eyes have seen the most brilliant shades of color the last few weeks!